Today I went to Walgreens, CVS, and Walmart. Yesterday I made a trip to Kroger to take advantage of their mega event which I LOVE!!! 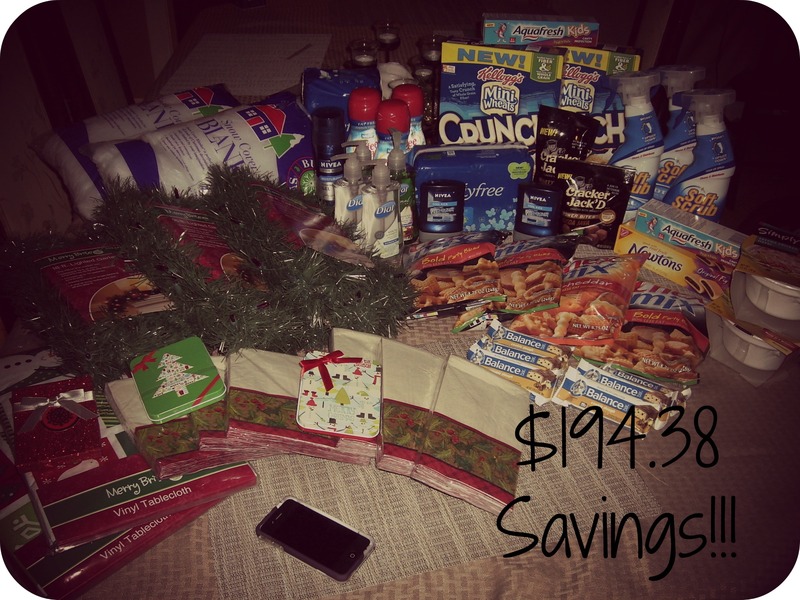 I was able to save $172.38 by shopping the sales and using coupons. I spent just over $171, which equals a 50% savings!! In the world of couponing, that’s a good day. Today, however, I was able to score even better deals! I saved $192.67 and spent $142.08 out of pocket. A large part of my out of pocket cost was spent on the “necessities” at Walmart…ick. But at CVS and Walgreens I was able to save $154 and spent $16. That’s a REALLY good couponing day. Check out all of the great deals I came home with!